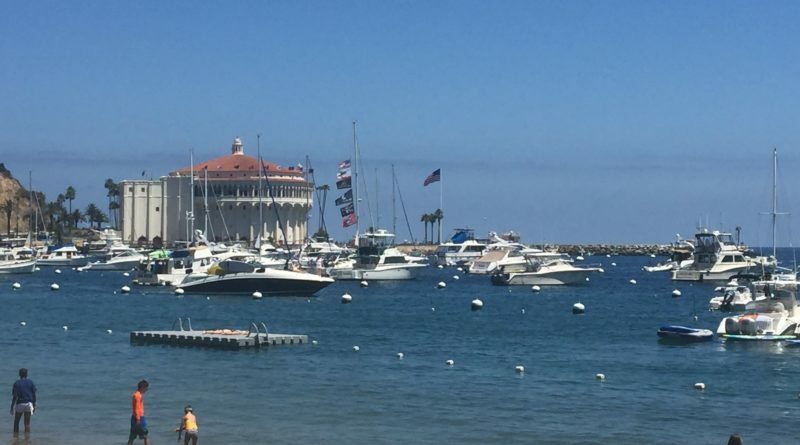 New ordinance for capital improvement projects at Catalina’s municipal harbor approved, but boaters were still reeling from July’s mooring fee increase. AVALON — Avalon City Council’s Dec. 4 meeting lasted a little more than four hours. Among the many topics discussed were a request to reinstate Avalon’s harbor commission and an introduction to an ordinance to increase wharfage fees and mooring rates for capital improvement projects. The outpouring of boaters, local fisherman and other business owners from Catalina to offer feedback about mooring fee increases that took place in July 2018, however, was likely unexpected. Council members voted greenlighted a new ordinance proposing to increase cross channel wharfage fees to fund harbor-related capital improvements. Avalon City Manager Denise Radde, prior to public comments, stated upfront it was not the intention to increase mooring fees for a third time in the fiscal year — though apparently there had been some discussion to do so. Council member Cinde MacGugan-Cassidy was adamantly against raising mooring fees again. “I would not vote in support of an increase in mooring fees,” she said. City staff presented two options of Avalon’s wharfage fee increase for each passenger to be reviewed and possibly raised to $2.88 or $3 after the initial period. Ferry services, Catalina Flyer and Catalina Express, will add an additional $1 roundtrip for a two- or three-year timeframe. All cross channel carriers and cruise ships passengers would also provide a $2.50 wharfage fee. Other council members chimed in to agree in lieu of the recent hike, they would exclude mooring fee rates from the new ordinance. One public speaker mentioned he felt the choice to take away winter rates was disconnected from what is best for business interests in Avalon. A bed and breakfast owner said she had to give her skiff up after the new rate of $3,600 had more than doubled from last year’s rate of $1,600. She also touched on the outdated reservation plan that she felt deterred boaters from visiting Avalon. Another boater revealed she had recently moved two of her vessels to San Diego, where she related the amenities provided were much better at nearly half the price. “You may think the services are good here, but they are not,” she said. King acknowledged notices were sent from the harbor department and advertised in the local newspapers about the 3 percent increase. Though many of the boaters felt the increase was reasonable for repairs and renovations, however, they had not counted on winter rates changing. Jason Paret, CEO of Catalina Island Medical Center, was also present at the meeting and reminded council members that there was still the matter of rebuilding the hospital. Residents had the chance to vote on a transit tax in April that would raise money for the sorely needed repairs to rebuild a hospital to Los Angeles County standards. However, the tax never gained momentum within the community. Further, the staff report explained there was not enough money in the Harbor Fund and the City’s General Fund does not have sufficient costs to withdraw from the already strapped reserve accounts. The wharfage fee will go into effect on March 1, 2019. The ordinance was instated with a sunset clause that will end on February 28, 2021. During the Dec. 4 Avalon City Council meeting, council member Cinde MacGugan-Cassidy discussed the possibility of bringing back the harbor committee. MacGugan-Cassidy requested this topic be posted in the agenda for an upcoming meeting in 2019. MacGugan-Cassidy was elected and served on the committee just a few months after she moved to Catalina Island in 2006. The harbor commission has since disbanded. Several persons advocated the desire for a harbor commission or committee during varying public comment sessions.